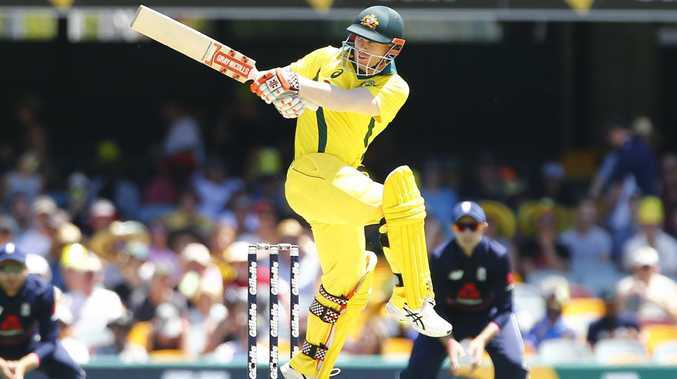 AUSTRALIA may need David Warner to be a middle-order strike force in the World Cup if it's to rediscover the batting rhythm that can defend the title. 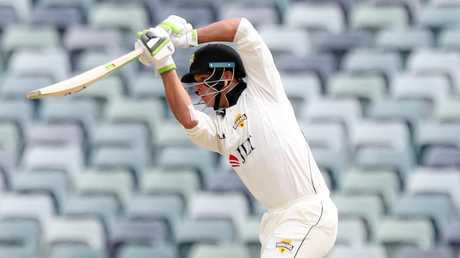 That is the opinion of one of the game's keenest analysts Kerry O'Keeffe, who believes Australia's current one-day woes are best explained by a line-up of too many boundary hitters and not enough batsmen who can work steadily through the gears. O'Keeffe believes Australia's top order are getting themselves into trouble by dotting up on too many deliveries, which can then put them under undue pressure to pin their ears back and hit the fence in a bid to "catch up". Travis Head and Shaun Marsh are trying to establish themselves as Aaron Finch's partners in the top three, and O'Keeffe says if that plan comes off in the 15 matches Australia has before the World Cup, then Warner could be considered for a left-field role. O'Keeffe says Steve Smith and Peter Handscomb are the other two "rhythm players" that stand out in Australian cricket and believes one of those two men should bat in the World Cup XI. But according to the leading commentator, Warner shapes as the true World Cup x-factor. "I like Warner as a redemption story. Not that you pick him for that, but he can get busy and committed. He's obviously best suited as an opener where he can bat long innings, but he's a guy with a high strike-rate who has the potential to bat rhythm in the middle-order," said O'Keeffe, ahead of tonight's second ODI against South Africa exclusively on Fox Cricket. "He's equally adept against spin as pace. I'd throw that up as an alternative if we can lock in a top three. "Our strike-rate in those overs 11-40 is not high enough." O'Keeffe is a big fan of Queensland opener Sam Heazlett, whose selection for a debut ODI was heavily criticised last year, but who now averages 54 in 50-over cricket at better than a run-a-ball. West Australian Josh Philippe is another on O'Keeffe's radar for his ability to strike at 120 while still playing classical cricket strokes. 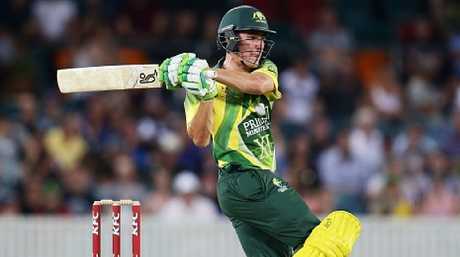 Middle order power men like Chris Lynn, Glenn Maxwell and Marcus Stoinis are under growing pressure to make their mark and gel. England are a current benchmark in one-day cricket, and according to O'Keeffe, that's because they bat with rhythm, rather than having too many players of the same ilk. "Alex Hales and Jason Roy bomb for England, but then they have rhythm with Joe Root and Eoin Morgan," he said. "That's why they've got a few bases covered if the hitters don't come off. We've got to get to that. "I'm a dinosaur. I like the Mike Hussey type player. And that's what we're searching for. "When you dot up for eight balls in a power play and then feel you have to catch up - it's in that catch-up where things go wrong. "Where we choose the wrong shot and our shot selection has been the one Achilles heel in recent times. "That's a result of no rhythm. "There's got to be a busyness in the power play rather than just hitting boundaries."